Riverside, Mo. 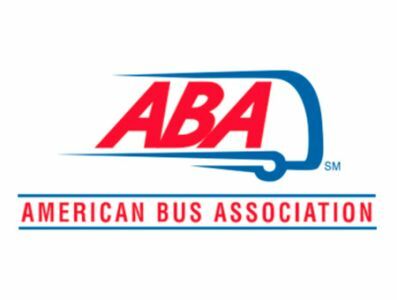 – December 20, 2017 – Rolling Strong, the provider of driver wellness programs for transportation companies and their drivers, as well as owner-operators, today announced its has been named to The Nation’s Best and Brightest in Wellness list by the National Association for Business Resources. The company was included on the 2017 list as a Wellness Provider winner in recognition of the quality and excellence of its programs and services that promote and improve employee and worksite health. The National Association for Business Resources names The Nation’s Best and Brightest in Wellness annually. The program honors companies for quality and excellence in employee health. Winners are evaluated by an assessment, created and administered by SynBella, the nation’s leading wellness systems firm. Company entries are examined statistically for quantitative data and examined on a point system based on criteria to benchmark and improve wellness program effectiveness. They include outcomes, analysis and tracking, participation and incentives, benefits and programs, leadership, employee input, culture and environment. The companies selected to be recognized this year will be featured in the February 8, 2018 online edition of Corp! Magazine. Nutrition Guidance including meal suggestions and predictive nutrition based on location though truck stop, restaurant and food item search capabilities, as well as daily food logging with calorie counts and targets. Exercise Programs including guided workout routines based on personalized preferences with duration and intensity choices, and daily step tracking with an integrated wearable activity tracker. Sleep time and pattern tracking with an integrated wearable activity tracker, and CPAP integration. Personal Health Records including biometric data from physicians, wellness coaches or health check stations, DOT certification reminders and the ability to connect with a wellness coach. Drivers using the new Rolling Strong mobile app can also earn points and rewards for logging sleep, exercising, meeting daily calorie goals, and winning competitions. The provider of driver wellness programs for transportation companies and their drivers and owner-operators, Rolling Strong promotes behavior change and provides support in the areas of Nutrition, Fitness, Sleep, Stress Management and Weight Management. Driven by its mission to reverse the declining health of America’s CDL Drivers and get them home safely, the company offers in-terminal and on-the-road solutions that target health improvement. Its customizable programs include the Rolling Strong App for drivers and administrative reporting capabilities to help carriers and drivers improve compliance with CDL medical requirements and to implement and manage their wellness initiatives. For more information, visit www.rollingstrong.com.